103691 Adapter/riser to connect one or two Compact Flash cards. 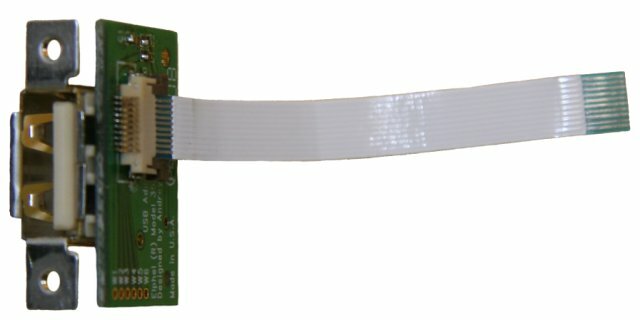 103692 Adapter for the ZIF-type (flex cable connector) 1.8" HDD. 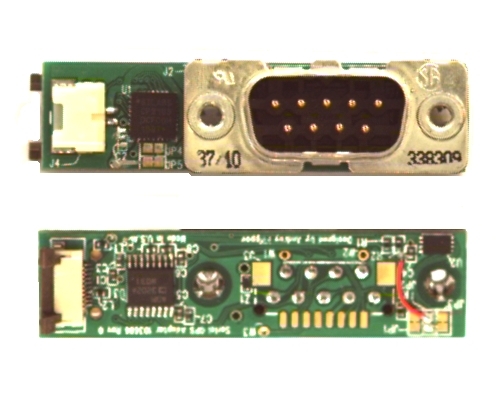 103693 USB type A (host) connector adapter mounted on the back panel of the Elphel Model 353 camera. 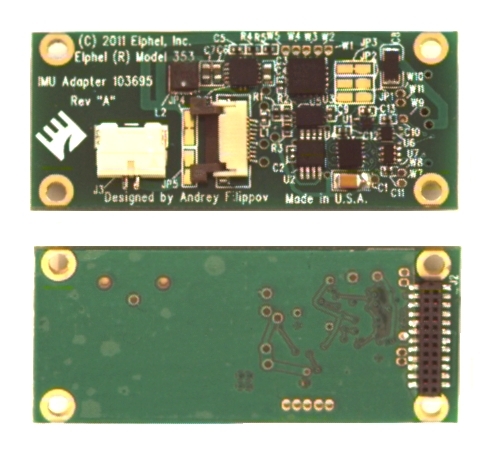 103695 Inertial Measurement Unit (IMU) adapter board (for ADIS-16375/ADIS-16405). 103696 Serial GPS with synchronization signal adapter board.